It’s that time of year again, kicking off the start of warmer weather (Please God!! ), the return of the snow birds, and the “official season” of good music! Even our man Tim is back, so at both of these performances there will be four of us! These are the events that you won’t want to miss and we want to see you at! 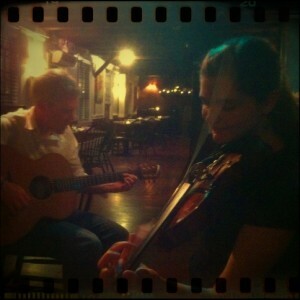 Saturday, 15 March – The Ivory, Deep River, from 6:30 to 10PM. Start your celebrations with us in Deep River on Saturday… Such a good way to blow off some steam by throwing your head back to sing with us! 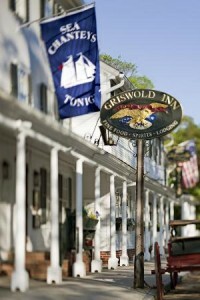 Then after you have rested on Sunday, come on out on Monday, 17 March – The Griswold Inn, Essex, from 6:30 to 10PM. Our weekly venue! We may be in the larger back room for the dinner crowd but you know how it gets when dinner is done. Come help us raise the roof! This entry was posted in Uncategorized on 21/02/2014 by JosMorn. 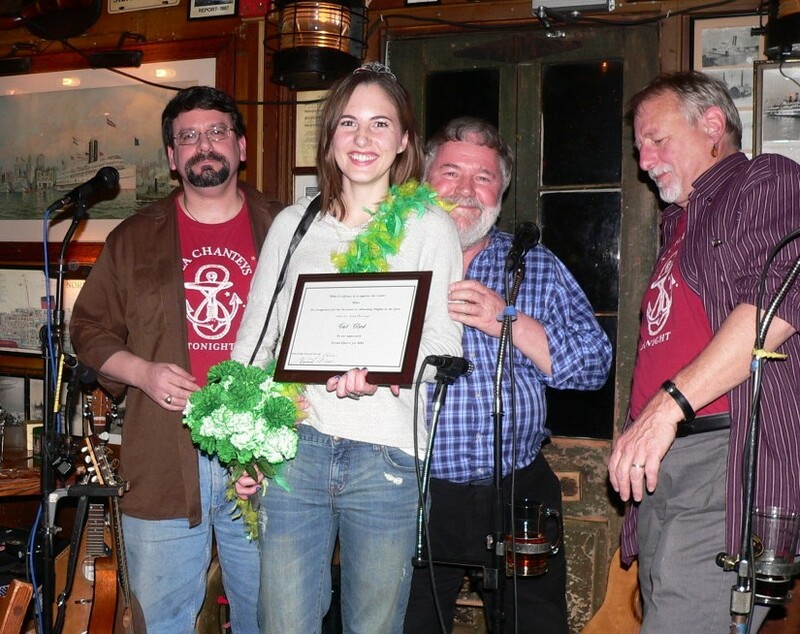 Permit us to present our Jovial Queen of 2014, Cait Clark! She was crowned last night the 10th of Feb. with all due ceremony; tiara, sash, bouquet, certificate all presented by Capt. Cliff Haslam and overseen by the bandmates. Her duties will include promoting our upcoming St-Pat’s gigs and other performance venues over the course of the year. Cait is an entrepreneur, hand crafting knit wear for you and your child, and you can see her Etsy Shop via this link. This entry was posted in Uncategorized on 11/02/2014 by JosMorn. As often as we have guests stand up to perform a song or tune or two, it usually is something somewhat spontaneous for the evening. However, on Monday the 10th a couple of friends will be coming down from Massachusetts to borrow the mics for a few numbers – Greg Bacon & Liz Alexander, both members of the Stoneybatter Band. A little variety for your evening’s listening pleasure. This entry was posted in Uncategorized on 03/02/2014 by JosMorn.